Nowadays, having an online store for your business is a vital step in helping your company grow. It can also be an incredibly exciting experience as you suddenly realize you have access to a much larger customer base. However, once your beautiful eCommerce site has been built, far too many people then run out of ideas on what to do next; which is, of course, marketing your store. Often, people get daunted by massive eCommerce giants like Amazon and eBay and think that their marketing efforts will amount to little. Well, there are plenty of businesses who have developed a unique marketing strategy, which they have used to compete online and grow their eCommerce stores to dizzying heights. For a little inspiration, here are eight examples of businesses that have run successful eCommerce marketing campaigns that you can learn from. Dollar Shave Club was founded on a simple idea of offering a razor subscription service. Such a service could indeed benefit every household across the country, but to have any chance of success, they’d need a way to reach consumers and help them understand the concept. To combat this, company CEO Michael Dubin, himself developed a range of promotional videos to explain the concept but also get across the quirky culture of the company. The first video soon went viral and garnered tens of millions of views worldwide. Since then, a video marketing campaign has proved integral to the company’s success. In fact, the model has been so successful that, in 2016, Unilever announced plans to buy the company for $1 billion. 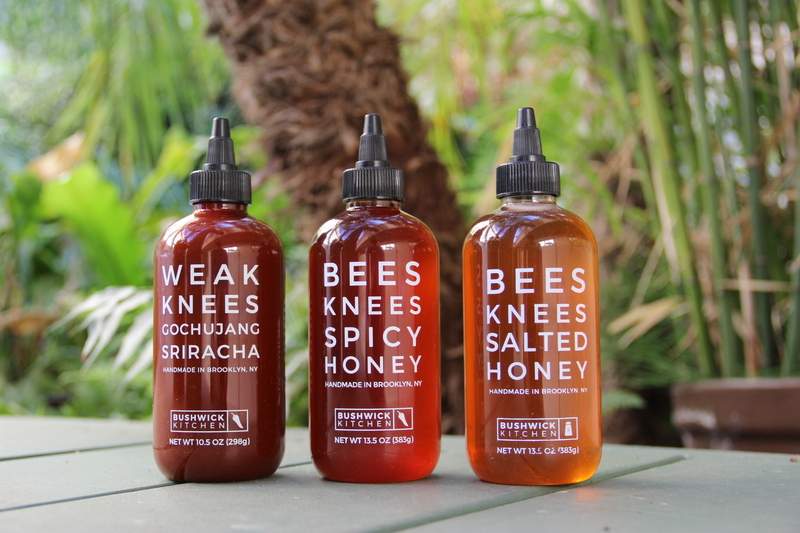 Bushwick Kitchen, originally known as MixedMade, was a company founded with a simple product of infused honey and chili flakes. The idea itself wasn’t the most novel, however, the commitment they put into marketing it was. Founders Morgen Newman & Casey Elsass realized early on that the only way to make the company a success was to gain heavy media coverage, so they set about approaching every media outlet they thought relevant. They never gave up on a lead, and soon started getting mentioned in a number of online publications. Then, once their social media traffic started picking up, they personally got to work directly messaging and engaging with everyone who expressed an interest in the product. This hard work of getting dirty themselves soon paid off, as within 10 months they sold $170,000 worth of product. National Parks Depot is a company that has received widespread positive feedback as the founder built this successful business, despite a life spent in and out of jail. In an effort to change his ways and build a new life, he launched his company that sold outdoor gear through a dropshipping model. What this means is that, rather than developing his own line of products and needing to spend lots up front on inventory, he acted as a middleman selling other equipment. Gaining traction in such a competitive niche was done by building a large Facebook following, through Facebook Advertising. Within just a few months, the company was drawing in $80,000 per month in sales. To date, they have more than 300,000 Facebook followers to promote future products to. Envelopes.com is an interesting example of a company who decided to focus not just on acquiring new customers, but also trying to engage with those who had left the sales funnel halfway through the process. For example, many people would go to the site, fill up their cart, but then leave before finishing up inputting their payment details. The marketing team at Envelopes.com soon realized that these customers clearly had an interest in buying, but there was something holding them up. Rather than letting those customers slip away, they developed an email marketing strategy to follow up with those customers with a focus on converting them. This dedicated approach to people already in the sales funnel led to a cart recovery of 40%. Diamond Candles is another novel product that had unique difficulties in reaching potential customers. The founders, at the time, had very little money to spend on marketing but knew they needed to scale quickly. They took a look at ways they could boost their marketing performance with little money up front and realized the power that existing customers offered. Their product was perfectly suited for taking great photos, as the process of the wax burning away to reveal a hidden ring was an interesting concept for women all over America. So, they started collecting these images from existing customers who were happy to display this amazing product, They then listed these images on their site and shared them across their social media accounts. The results soon paid off as this completely free marketing material has now attracted over a million followers on Facebook alone and increased product conversions on site by 13%. Threadless is an inspiring example of an eCommerce team that understood the importance of capitalizing on evolving marketing trends. When the company launched, sites like Twitter and Instagram were still very young, but they quickly understood the powerful marketing potential they held. The company Threadless started with the founders, Jake Nickell and Jacob DeHart, advertising for T-shirt design contests on dreamless.org. Once a winner was announced, they then started selling these custom designed T-shirts on their own site. The concept was so popular because it got engagement from designers and customers, and it was the customers themselves who voted for which T-shirts they wanted to see printed. To date, they have over two million Twitter followers, almost one million Facebook followers and a quarter of a million Instagram followers. Luxy Hair, launched in 2010, was founded by a husband and wife team who realized there was a market for providing customers with good quality hair extensions. Again, they didn’t want to spend huge amounts on marketing and needed to find an engaging way to reach potential customers and help them understand why they should buy from them. So, they decided to launch a YouTube channel that produced how-to style videos on using hair extensions. The brilliance of these videos was that they generated millions of views completely free of charge and gave customers something they genuinely needed answers to. Having watched the videos, viewers were then encouraged to check out their site and see if they might like to buy something. To date, they have over three million YouTube subscribers who have fuelled their growing business. BeardBrand is an American company offering a range of men’s grooming products. They entered the market at a time when there were plenty of other such stores available and realized they needed a way to stand out. Their approach was to craft a story around their brand and promote that story and the ethos of their company wherever possible. They created a narrative around the “urban beardsman” and thus clearly specified their exact target customer and made them a part of the brand. Their marketing campaign took the form of videos, PR releases, ads and various forms of in-person marketing. They quickly grew in popularity and have been featured on a number of major publications, like the New York Times, Men’s Journal, as well as appearing on Shark Tank. Across all platforms, they have almost 300,000 dedicated followers and have built a leading eCommerce store in the highly competitive beard grooming niche. It should be clear from the above examples that there are a number of different approaches you can take to promoting your eCommerce store. Better yet, few of them require a lot of money to start off with. The best thing to do is to take a look at the products you sell and decide what USPs it holds and what platforms best lend themselves to advertising it. Then, target these approaches and aim to transfer the personal touch that your company holds. Often, developing a unique and powerful marketing campaign is best achieved by consulting with experienced digital marketers. Here at Newbird, we help clients all over the United States to design visually stunning eCommerce sites and then create inspiring ways to help them make their new store a success. To discuss opportunities available to you, and to see if we may be a good fit for your business, get in contact with our team today.